A Team shall consist of any five (5) individuals. These individuals may share membership in a stamp club, a philatelic society or fraternity, or join together solely for this competition. An individual may NOT be part of more than one team. An individual may enter one and only one exhibit in the 1-Frame Team Competition. A team entry consists of five (5) 1-frame exhibits. Each exhibit must be the bone fide property of one and only one team member. Team exhibits must be from these Types: Traditional, Postal History, Postal Stationary, Thematic, Display, Revenue, Aerophilately, Astrophilately, Illustrated Mail, Cinderella/Poster/Promotional, or Picture Postcards. Exhibits entered in the Single-Frame Championship competition are not eligible. Note: AmeriStamp rules state that an exhibit that is eligible for the Single-Frame Championship class is NOT eligible for the Single-Frame open competition. Additionally, exhibits that win a Grand at any WSP or Canadian National exhibition between the end of 2010 and AmeriStamp Expo 2011 are also not eligible for the Single-Frame open competition (and therefore not eligible for the 1-Frame Team Competition). Exhibits will be evaluated by the jury with the following points assigned for each medal level: Gold = 100, Vermeil = 90, Silver = 80, Silver-Bronze = 70, Bronze = 60, and Certificate = 50. Teams will earn a 10-point bonus for each �new� exhibit � never shown at the national or international level (minimum = 0; maximum =50). Exhibits previously shown at local/regional shows are acceptable. Teams will earn a 5-point bonus for each separate Type of exhibit represented (minimum = 5; maximum =25). Teams will earn a 10-point bonus for each Youth exhibit (as defined in the AmeriStamp Expo prospectus). 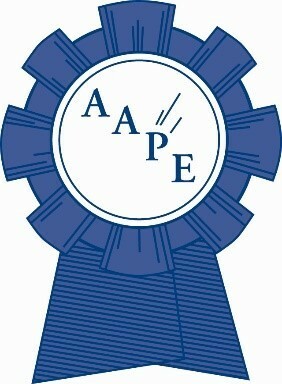 Teams will earn a 10-point bonus for each Novice exhibit (as defined by the rules for the AAPE Novice award). Teams earn 5 bonus points for each special award, including 1-Frame Reserve Grand Award(s). A bonus of 10 points is earned by the exhibit winning the 1-Frame Grand Award. Only awards presented at the banquet are eligible. Only one (1) special award sponsored by or presented by any given society or organization may count towards a team�s total score, with the exception of awards sponsored by the American Philatelic Society or the American Association of Philatelic Exhibitors. All awards by APS and AAPE will count towards a team total score. The team score is the total of the scores of its five entries plus any bonus points earned. The team with the highest aggregate score will be the winners. Ties will be broken by 1) the number of new exhibits, 2) the number of different types 3) the number of Gold awards, 4) the number of Vermeil, 5) the number of Silver, 6) the number of Silver-Bronze, 7) the number of Bronze, and 8) the number of special awards. Exhibits entered in the 1-Frame Team competition are eligible for all applicable awards at AmeriStamp Expo (as set forth in the show prospectus). Participants in the 1-Frame Team competition may enter other exhibits at AmeriStamp Expo (as set forth in the show prospectus). There is no additional fee for participating in the 1-Frame Team competition at AmeriStamp Expo. Teams must register with the 1-Frame Team competition coordinator by providing a list of the team members, their exhibit titles, whether the exhibit is "new", and the exhibits� Types. Forms are available from the Coordinator (Tony Dewey, 157 Warrenton Avenue, Hartford, CT 06105-3931 or afdewey@sbcglobal.net) and from the web site of the AAPE (OFE_2012_RegistrationForm.pdf).